It’s easy to create a hypocrite. The formula is a homophobic priest + Grinder = hypocrite. Just ask Father Rory Coyle. 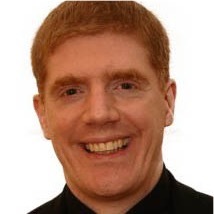 A well-known Catholic priest in Ireland — who was vocally homophobic in his sermons — has been outed for having his own secret Grindr profile . 35-year-old Rory Coyle was a priest in Armagh, a town in Northern Ireland — until it was discovered that he’d been keeping a secret Grindr account, chock full of illicit selfies. Somebody recognized him. Given the prevalence of facial recognition, I am surprised this does not happen more often.